Today I was the girl who bundled up from head to toe, cleared off her car, waited 20 minutes for it to heat up, and braved the snow and the icy roads simply to get her morning coffee. Her morning iced coffee. A cold brew when it was below freezing outside. JUDGE AWAY. I’d love a hot cup of coffee to warm me up on winter days– you know, in theory. But I’ve always had this issue where no matter how long I wait, or how slow I sip, or how careful I think I’m being, I still wind up burning the absolute you-know-what out of my entire mouth every time I have a drink that’s served above room temperature. I’m telling you, it’s every. Single. Time. After about 400 attempts of becoming a hot drinks gal, you begin to learn to accept the fact that hot beverages and you are just not meant to be together. And that’s okay… most of the time. However, there is one hot drink that I’m willing to suffer through a thousand scorched tongues for, and that’s chai. Cinnamon, allspice, cardamom, ginger, and cloves all in one super soothing drink? It just makes me want to wrap myself in a blanket on the couch and drink a never-ending cup until it gets warm out again. 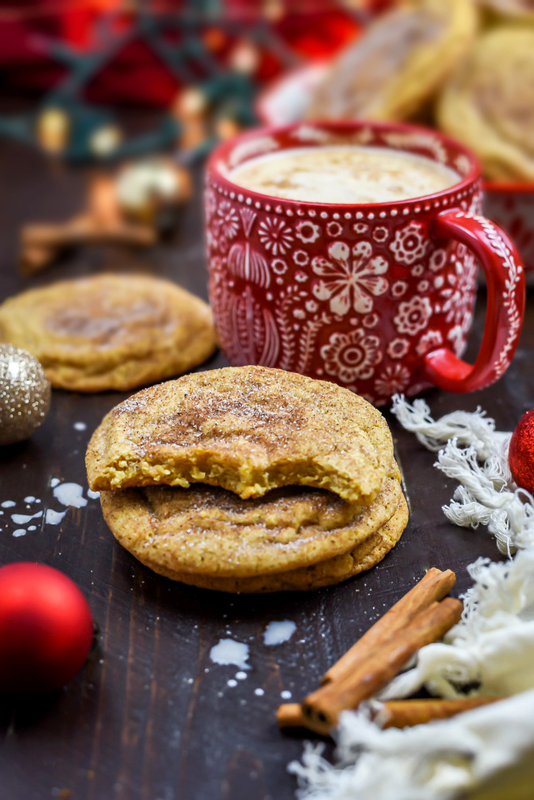 There are few things more comforting than freshly baked buttery cookies and a mug full of chai latte by the fireplace. Except, of course, for when you combine them both to create a delicious mash-up like Chewy Chai Snickerdoodles and eat those by the fireplace. Sure, we don’t have a fireplace in this house but just imagine. 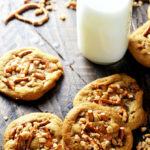 For these cookies, I used my usual tricks for ultra chewy and soft cookies (as you might already have seen in this Chocolate Chip Cookie recipe, and in this Peanut Butter Cookie recipe), but with some obvious change-ups. The most important one? Cream of tartar. Did you know that cream of tartar is made from fermenting grapes into wine? 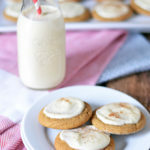 And did you also know that it’s the key to snickerdoodle’s signature slight tang and chewiness? 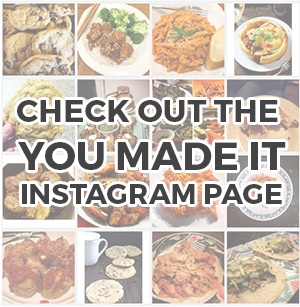 Well now you do! James and I had sworn that we were DONE with cookies for the year after eating waaaay too many of the aforementioned chocolate chip and peanut butter cookies. The idea of eating cookies was revolting to us at that point. We could barely fit in our jeans. 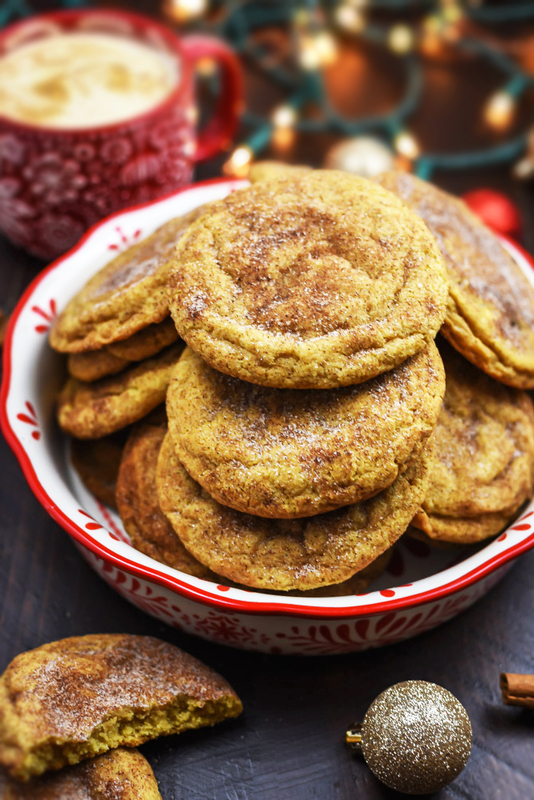 Yet here we are, finding any excuse to eat leftover Chewy Chai Snickerdoodles at every opportunity, because they might be our favorite cookies of the season. We truly can’t get enough of them. Not only is the cookie base absolute tender, buttery, chewy perfection, but the spices on the outside truly take it to the next level. 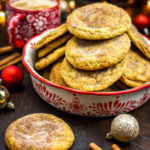 I’m going to warn you that they’re going to make plain ol’ snickerdoodles seem underwhelming for the rest of your life though, so continue with caution. But I do know that that freshly baked Chewy Chai Snickerdoodle was absolutely worth it. In a large bowl, beat together the melted butter, 1 cup granulated sugar, and the brown sugar with an electric mixer. Add the eggs and vanilla and beat until just combined and smooth. Add in the flour, cornstarch, salt, cream of tartar, baking soda, and baking powder. Mix until combined, but be sure not to over-mix. Cover the dough and refrigerate for 30 minutes to an hour. In a separate small bowl, whisk together all of the rolling spices. 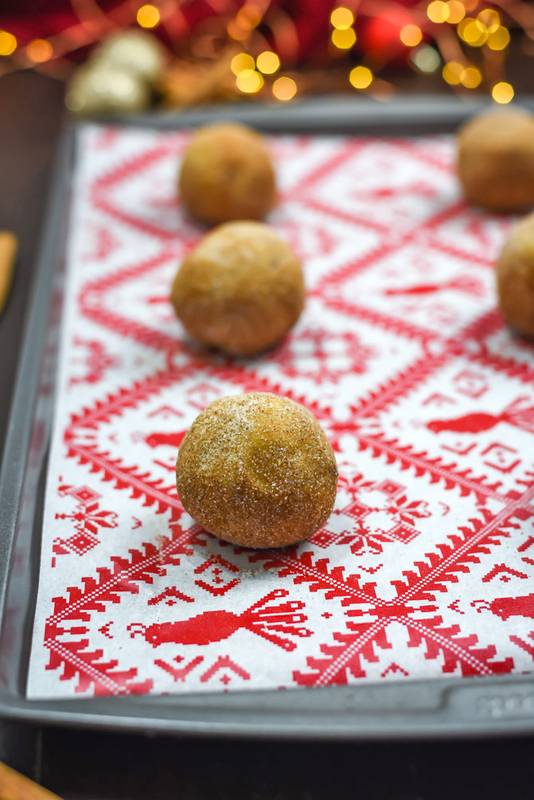 Scoop 1/4 cup of cookie dough at a time and roll into balls, then roll the balls in the spice mixture to coat. Place onto the prepared baking sheet, giving plenty of room for spreading. You should be able to fit 6-8 cookies per tray. Flatten the dough balls slightly with your palm, and then bake for 10-14 minutes, or until the edges are beginning to set and brown and the centers are still soft and seem slightly undercooked. Remove from the oven and let cool fully on the baking sheet to set the cookies. Hi, I don’t have cardamom, cloves, or allspice, but I have chinese five spice, can I use it instead? Absolutely delicious. However, I find that 1/4 cup results in enormous cookies; golf ball size balls, or even 1/8 cup, might be more appropriate. I made these cookies for a NYE party and they were a hit! 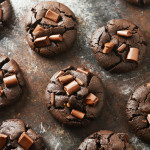 I agree that 1/4 cup balls results in too large of a cookie, 1/8 cup or a little bigger would be perfect! I had some left over rolling spices so making the cookies smaller and thus having more cookies to roll would probably use that up too . I’m definitely making these again. Can the dough be made ahead and frozen? The dough will be fine made ahead of time and frozen, just make sure you thaw it in the fridge before using! 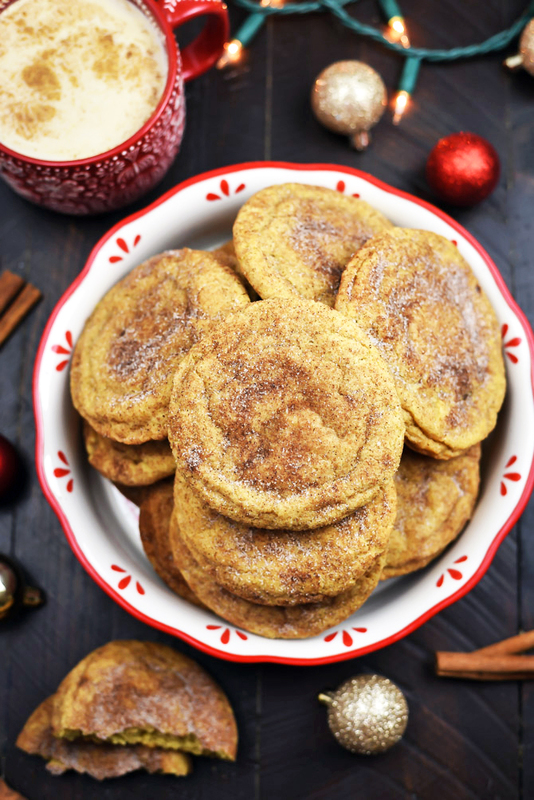 Can I add cinnamon to the dough and just roll them in cinnamon and sugar to make normal snickerdoodles? 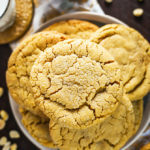 I’m so sorry, I’m just not a huge fan of chai, and your peanut butter cookies were an absolute knockout by everyone I know when I made them (I did add chocolate chips), so I would love to try another one of your recipes. 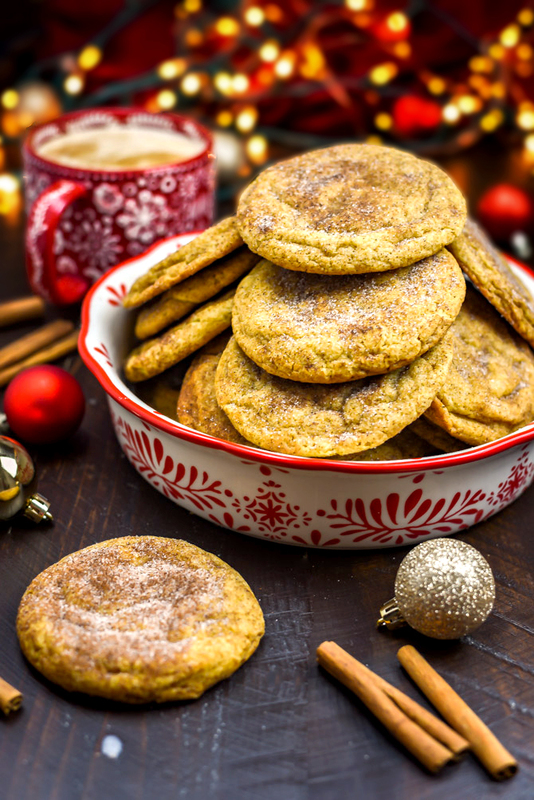 No need to add cinnamon to the dough, just mix together cinnamon and sugar for the rolling part (omitting all of the other spices) and you’ll have regular snickerdoodles 🙂 I’m so glad you enjoyed the peanut butter cookies! Gahh, thank you so much for the response! !